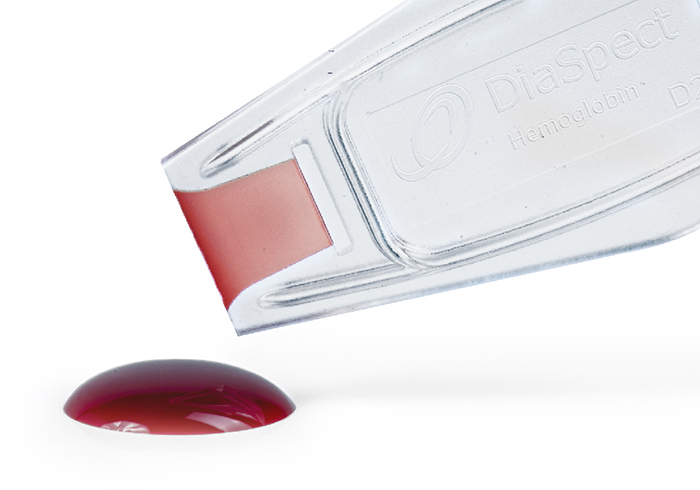 EKF Diagnostics’ DiaSpect Hemoglobin T has an imprecision CV (within run) of < 1 % and is factory calibrated against the HiCN reference method according to ICSH. 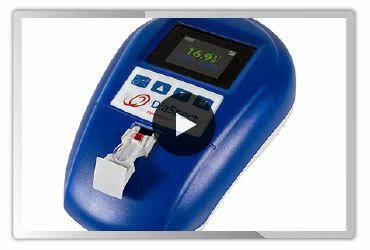 The device provides a hemoglobin result and calculated hematocrit reading from one small 10 μL blood sample. Capillary, venous or arterial blood (EDTA and heparin anticoagulant) can be used. 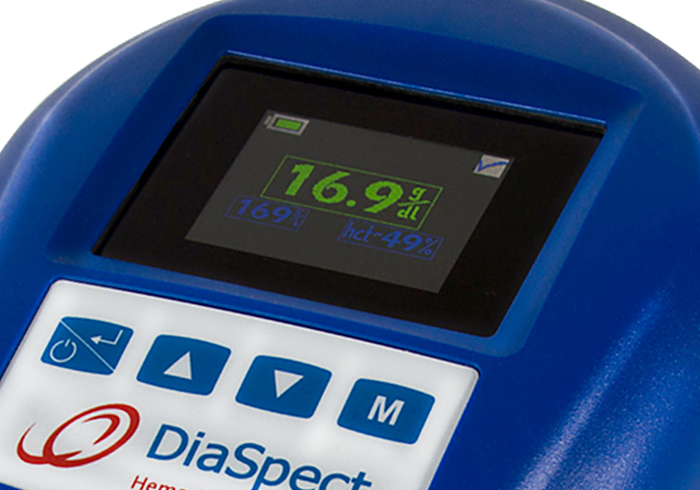 The DiaSpect Hemoglobin T has many user friendly features including a programmable color screen display that lets you select language options and units of measurement. 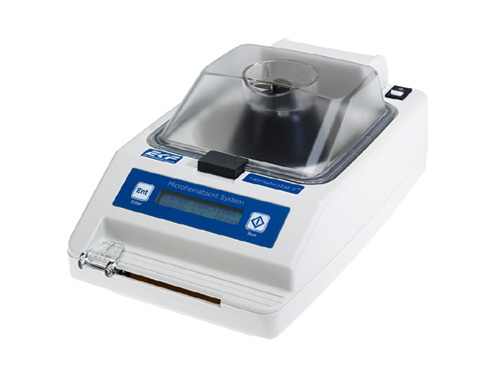 The motorised microcuvette holder softly pulls the filled cuvette into the analyzer, which minimizes the risk of contamination. The reagent free microcuvettes have a long shelf life of 2.5 years from date of production and they are unaffected by moisture or temperature even after opening the bag. This makes the system ideal for use in low volume testing settings or hot and humid climates. The device is also conveniently portable with an integrated lithium-ion battery that provides more than 40 hours continuous use and a plastic carry case. 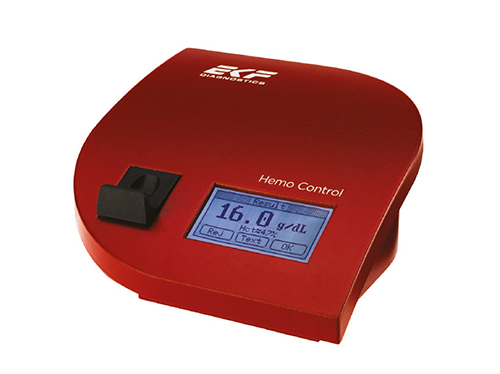 Weighing just 500g, the analyzer is small enough and compact enough to use in the field or in remote settings. 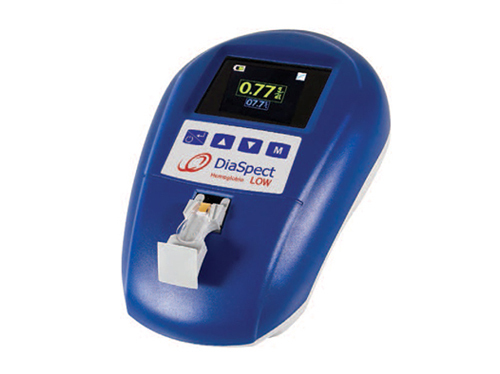 The EKF Diagnostics DiaSpect Hemoglobin T is a photometer with a broad spectrum. It also compensates for turbidity and scattering. Where is DiaSpect Hemoglobin T manufactured? 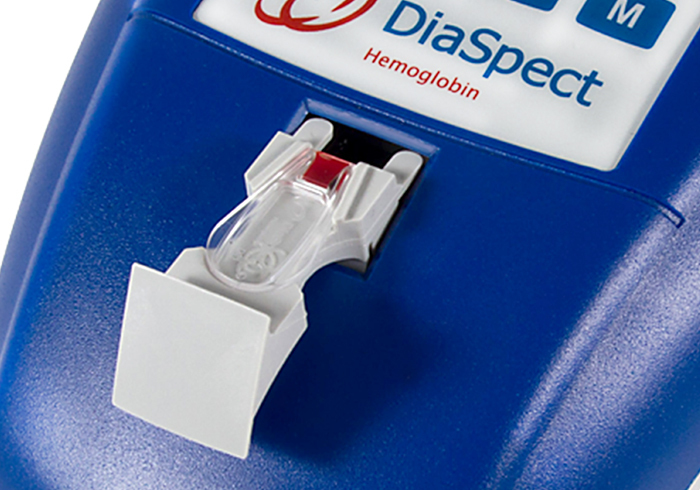 The DiaSpect Hemoglobin T analyzer and cuvettes are manufactured in our facility in Sailauf, Germany by DiaSpect Medical GmbH, a wholly owned subsiduary of EKF Diagnostics.